Spread the word on your Facebook promo easily and optimally across multiple social networks! 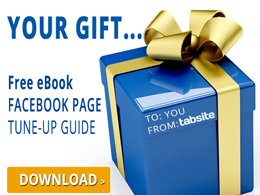 TabSite has collaborated with Buffer to offer social media post planning. Now all TabSite users have the ability to Buffer posts right from within TabSite Apps. With the Buffer integration in all TabSite Engagement Apps, Marketers are able to boost traffic to Facebook Page custom tabs and web pages with the apps embedded on by simply buffering posts during setup. By default when setting up or updating a TabSite App, TabSite adds the mobile, Smart URL to the Buffer post, making it easy to broadcast your promo, and making it easy for web and mobile users to access your Facebook tab. Users must enter their web page url to select that destination. In each Engagement App is a Promotional Tools area. Within this TabSite users will now see a Buffer button. Clicking the button opens ability to login to a Buffer Account. Once the Buffer Account is authenticated, there are three areas to access: Create, Dashboard, and Settings. Each is reviewed below. This is the default view that opens. Here you see the post creation area on the left. The tab mobile friendly, Smart URL is automatically populated. Simply click in the post area and create your message. On the right are the social accounts connected to your Buffer account. Simply click any or all of the social accounts to Buffer a post to that account. A selected account turns blue and shows the green check mark. Simply click again to de-select an account. In the lower right are 3 features, "a Link", "Post Now", and "Add to Buffer". The link image lets you know if you have shortening specified in your Buffer account. If it is blue, the post will go out with the shortener specified in Buffer. The user has the choice to use the "Post Now" to send the post immediately, or the option to "Add to Buffer" to post according to set Buffer times. NOTE: When posting to Facebook, the default post type is to post a image to your profile or page photo album. Since Photos get the most Likes, Comments, and Shares, this is the ideal way to post. TabSite will pull in the image you have set to use in the Social Sharing Options area of the Engagement App, or you can simply drag / click the image button to add a image of your choice. Add your description and then select the "Post Now" or the "Add to Buffer" button to complete. See below. You can also choose to not post a image and instead, use the URL post type. This would not post a image to a photo album but simply posts the message. The Buffer Dashboard area within TabSite allows users to view Scheduled posts and Sent posts per social account. Within Scheduled, a post can be re-ordered to be Buffered at a different time simply by clicking the "drag" button and dragging the post up or down. There is also ability to update and edit any Scheduled post, or delete it. This gives you the power to easily check, customize, and edit messages, as well as set the ideal Buffering times for posts. Previously sent posts are listed per social account in the "Sent" column. Simply use the drop-down in the top left to view Scheduled and Sent from other social accounts within Buffer. For each sent post there is ability to view the analytics for that post as shown below. The TabSite integration of Buffer allows users to view, edit, and update the Buffer posting settings for all social accounts within Buffer. This allows easy access to manage your Buffer account while setting up your TabSite Engagement App.